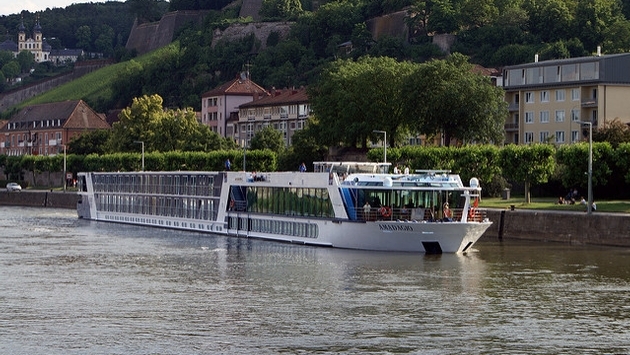 Just about 15 years into the game, AmaWaterways is absolutely cruising. The leisure river cruise line is celebrating a watershed anniversary this year while accepting quite the accolade. Global Traveler magazine recently held its annual ceremony in Los Angeles and revealed AmaWaterways as the Best River Cruise Line at the 2017 Global Traveler Leisure Lifestyle Awards. Kristin Karst, executive vice president and co-owner of AmaWaterways, offered thoughts on the acknowledgment, via press release: “We are absolutely thrilled and honored to have received the top award in the prestigious river cruise category." The Leisure Lifestyle Awards celebrates brands throughout luxury travel, which obviously includes river cruising but also hotels and airlines. When it comes to the voting, AmaWaterways can thank what is described as a group featuring seasoned subscribers and executives that pepper the travel industry. The award is something of a hat tip to AmaWaterways' legacy as a line that does more than offer comfort. It’s a brand that promises a wholly immersive experience for its guests who leave the ship well-rested for myriad adventures available at each port of call. AmaWaterways specializes in river cruising with a quaint and personal touch, promising amazing dining and spectacular wine experiences. Each ship carries no more than 164 passengers and boasts itineraries throughout Europe, including along the Danube, Rhine, Moselle, Main, Rhone, Seine and much more. Various Asia and Africa excursions are also available. Not only do you not have to worry about your meals while on board, you can be sure of a whimsical experience when you visit each port via available bicycles. The company’s dedication to designing the perfect river getaway has AmaWaterways leading the pack.